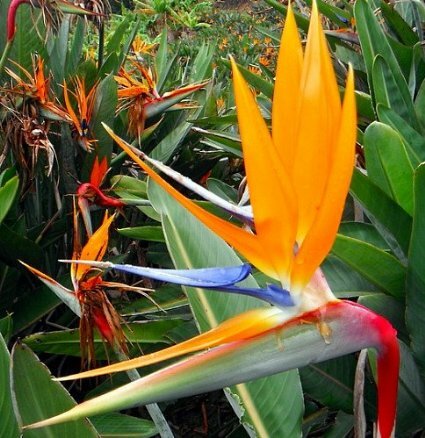 Exotic and memorable flowers Bright orange plumes with midnight blue beaks Height: 24-36" Frost tender perennial in mild areas The plant you will receive is growing in a 6" pot. Exotic and memorable flowers. Bright orange plumes with midnight blue beaks and a carefully guarded reserve of flowers within the bud. Each stem has four flowers so carefully split the green beak to release them. Frost tender perennial in mild areas. In cold areas grow as house plant. Picture is for example only.